Want to Increase Sales, Accelerate Growth, Create Clarity and Be Heroes In Your Space? or Life Science website to the next level. All businesses need to generate leads and growth in the most cost-effective way. Time and budgets demand efficient return on investment. Your website can be your most effective sales driver – 24/7/365. It makes business sense to create a smarter website to generate profitable traffic. Highly technical, Biotech and life Science businesses like yours can build a competitive edge by combining your goals with a thoughtfully planned and optimised website. Together with the latest strategic content marketing strategies, a purpose-built website will enable you to connect with your stakeholders in an intelligent and relationship-building way. Fast and efficiently. As experienced Website Consultants, we have spent many years fine tuning our website strategy and process to maximise the benefits for science based businesses. Feedback on past projects has been impressive. So we decided to focus our efforts on helping this sector to drive business via their website. We know how powerful a well planned, created and tracked website can be to businesses in such as competitive, worldwide sector. 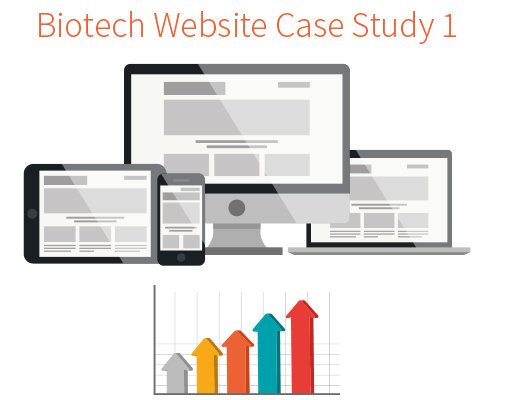 We work on many Biotech and Life Science website redesign projects. However, you don't always need a full website redesign. We can assess your website set up and focus on significant improvements to your User Experience, User Journey, Search Engine Optimisation and Conversions. We understand how time sensitive a complete website redevelopment can be for a busy marketing team. That is why we provide techniques and processes that can significantly power-up your existing website to drive the business you need. The world's leading web and digital agency for biotech and life science businesses. Whether you are a Biotechnology company in its early stages, needing to fulfil your potential and ambitions, or a Life Sciences organisation looking for dynamic, organic growth, you will have many stakeholders. Your website is going to be a crucial point of first contact and a place for follow-up visits where these potential stakeholders, investors, customers, peers – make a judgement in a matter of seconds, before going on to establish a meaningful connection. Your website – your face to the world. You need it be a flexible platform on which you can quickly showcase new products and services. A place that promotes you as thought leaders. Where you can grow your brand and increase visibility both nationally and internationally. At Arttia Creative we have the experience and knowledge, and are a trusted ‘safe pair of hands’ so that you don’t have to struggle to get your head around every aspect that’s needed to make your biotech or life sciences business website successful. In fact, we have everything you need to stand out in your marketplace and break through the noise – consultancy, guidance, brand development, web design, marketing expertise, digital strategy and print design. Using our experience in the science sector we can guide you through and tailor our multi-step process to your exact needs. So your website and online marketing fast-track your lead generation and you reach the sales growth you need. We've developed a multi-step process that helps businesses like yours fast-track growth through their website. With a foundational understanding of the biotech and life sciences sectors, we tailor our process for each business we work with, taking the time to develop a thorough understanding of your company, your audience, your unique goals and revenue drivers. It’s time to shift your thinking about the purpose of your website. When designed and created with the right focus and lead generation in place, it can become your most powerful sales driver. What value would you put on a member of your sales team who worked to promote your business 24 hours a day, seven days a week, every day of the year, never takes a holiday or sick day? Surely that would be a massive asset? Your website can be an incredibly valuable business asset. Your website can be your 24/7/365 salesperson. Industries and the online space are rapidly evolving. Keeping pace with this shifting landscape takes time and energy, together with consistent iteration and improvements. What efficient processes can you put in place to meet these constant changes? What do you need to put into place help you to 'future-proof' your website? Do you need help from a trusted partner who has experience of the rapidly changing digital space and how to maximise leads and business growth? At Arttia Creative, we've been creating business driving websites for over a decade, over that time we have developed our sophisticated multi-step process which we tailor to your business. We see the same website issues over and over again where businesses are seriously under using their online presence and potentially leaving money on the table. 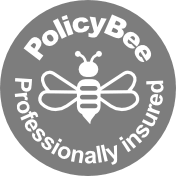 We've worked with companies like yours and helped them to improve their online presence and increase qualified enquiries. We are here to help you fast-track the process of making your website and online strategy the business driver it needs to be. We will work with you to fine-tune or develop an efficient content creation process and devise an effective digital marketing strategy. Our aim is to save your business time, stress and money with personal, trusted support and relevant automated marketing, to drive enquiries 24/7/365. Businesses who don't leverage their website to increase qualified enquiries are missing tremendous opportunities and leaving easy money on the table. We've developed our multi-step process for your business that can increase qualified traffic and enquiries from your website, provide your sales team with qualified leads and free them up for your critical face-to-face customer development. Arttia Creative can become a tactical extension of your internal teams, working alongside your digital marketing people, product development and sales teams. We aim to understand your marketing objectives quickly — be it increased market share, more credible brand messaging, new market segments — and tailor our multi-step processes to achieve those goals. We aim to quickly identify marketing best practices that your firm can access and implement to quickly show returns. Providing you with biotech and life science sector tailored, industry-specific website consultancy and digital strategy. Unmatched attention to detail and professional business support. DOWNLOAD OUR FREE GUIDE - HOW TO TAKE YOUR BIOTECH OR LIFE SCIENCE WEBSITE TO THE NEXT LEVEL. DRIVING BUSINESS GROWTH. Careful planning before you dive into website design or a site map will give you a framework on which to create a powerful experience. One that delivers results for both your healthcare business and your clients and customers.